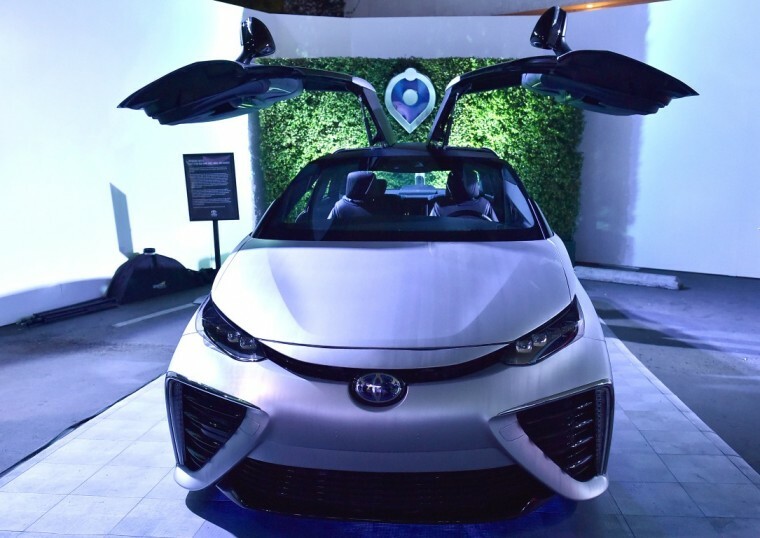 Yesterday, Toyota unveiled the Mirai hydrogen fuel cell vehicle in style at a premiere in West Hollywood, California. A handful of the more than 2,000 people who have thus far requested a Mirai were in attendance at the swanky party, which featured food, décor, and conversation inspired by the Back to the Future vision of 2015. Oh, and a time machine version of the Mirai designed to look like the DeLorean from the cult movie franchise. 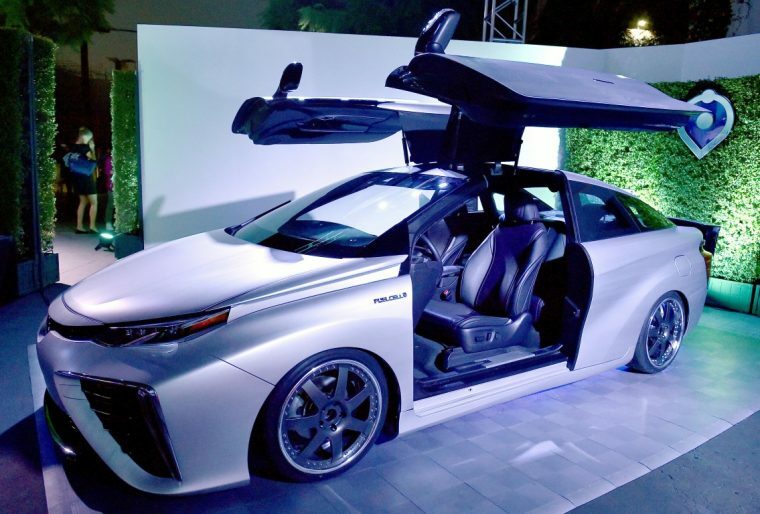 The customized Mirai features gullwing doors and a heads-up display of the time-travelling destination, echoing the design of the DMC-12 featured in the movie. The Mirai launch date coincided with the date to which Doc Brown and Marty McFly traveled in the second movie in the series—and not by accident. Toyota has been marketing the Mirai alongside the Back to the Future hype, even enlisting the help of the actors from the trilogy. Attendees at the Mirai premiere event learned how the hydrogen car works from CNET editor-at-large Brian Cooley, alongside participants Chris Hardwick (Nerdist CEO and host of @midnight), Jackie Birdsall (Mirai engineer), and Edward Eyth (creative designer responsible for various Back to the Future II concepts).